Children and young people in out-of-home care (OOHC) are recognised as a highly vulnerable group and often have a range of unidentified and untreated health issues. The time at which a child or young person enters OOHC provides an important opportunity for General Practitioners and other health professionals to assess the child’s health, development and wellbeing. A Primary Health Screen should be commenced within 30 days of the child or young person entering out-of-home care. The following information is a guide for GPs on how to conduct a primary health screening, what resources are available and the appropriate referral pathways. To report suspected child abuse or neglect, call the Child Protection Helpline on 132 111 (24 hours/7 days). After 30 April 2016 a parent’s eligibility for child care payments will be ceased if their child’s immunisation records are not up to date with the Australian Childhood Immunisation Register (ACIR), under the new No Jab, No Pay measure introduced by the Australian Government on 1 January 2016. 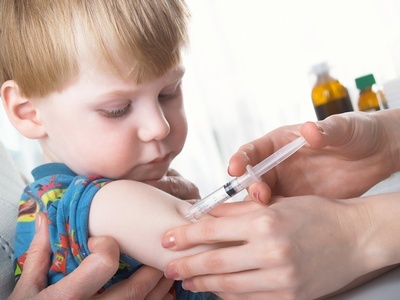 Parents in receipt of Child Care Benefit (CCB) and Child Care Rebate (CCR) whose children’s immunisations were not up to date as at 31 December 2015, were given a 63 day grace period (ending 18 March 2016) at the start of the measure to get their child’s immunisations up to date. Early indications are that the No Jab, No Pay measure has resulted in a greater than anticipated demand for vaccinations and updating of vaccination histories, and this is causing delays for some vaccination providers / clinics being able to transfer vaccination records to the ACIR. Because this processing delay is beyond the control of parents and to ensure those who have taken action and immunised their children are not disadvantaged when the grace period ends, child care subsidies will be paid until 30 April 2016 while vaccination records on the register are updated. While payments will continue to 30 April 2016, those parents who have not taken action to immunise their children by the end of the 18 March 2016 grace period may incur a debt which they will have to repay to Centrelink. The grace period does not extend to new customers claiming CCB and CCR. New customers must be up to date when they apply to receive these payments. In addition to CCB and CCR, the No Jab, No Pay policy also applies to the Family Tax Benefit (FTB) Part A supplement, but the delay in updating vaccination records will not affect the 2015-16 supplement, as it is paid after 30 June 2016. Sanofi’s FluQuadri® Junior for children under three years of age. GSK’s Fluarix ® Tetra for people aged three years and older. Trivalent influenza vaccines (TIVs) will not be provided under the National Immunisation Program in 2016. TIVs and QIVs will be available to purchase on the private market. The Australian Technical Advisory Group on Immunisation (ATAGI) recommends the use of QIVs in preference to TIVs. However, TIVs are an acceptable alternative particularly if QIVs are not available. CLICK HERE for ATAGI advice. Practices can create a My Health Record for their patient in less than a minute using the Assisted Registration function within their clinical information systems software. The record is active as soon as it is created so patients can register as they wait, proceed to the consult and have a shared health summary uploaded immediately. There is no longer any requirement to have a patient sign a hard copy consent form to apply). Patients can also register for their own record online. The Hospital News page is a regularly updated resource for GPs that provides news about Northern Sydney Local Health District referral pathways and services. CLICK HERE for GP Referral to the Acute Assessment Unit at Royal North Shore Hospital. CLICK HERE for Accessing Hornsby Ku-Ring-Gai Hospital Emergency Department – Info for GPs. CLICK HERE for Hospital Avoidance Services – Aged Care. CLICK HERE for Prof Susan Kurrle’s video presentation. CLICK HERE for Prof Susan Kurrle’s dementia diagnosis and current treatment presentation. 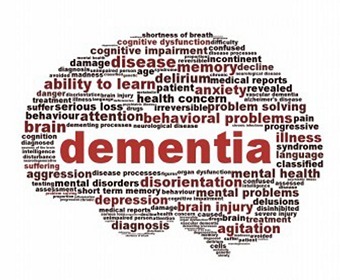 CLICK HERE for the 14 Essentials for good dementia care in general practice. CLICK HERE for the overview of ACAT and the new referral process through My Aged Care – Maris Tonkin. CLICK HERE for the overview of My Aged Care Portal – Lyn Silverstone. Bowel cancer is the second biggest cancer killer in Australia, with 80 Australians dying each week from this disease. But, if detected early, up to 90% of cases can be successfully treated. The National Bowel Cancer Screening Program is saving lives. Evidence from the Program has shown that Program invitees had 15% less risk of dying from bowel cancer, and were more likely to have less-advanced bowel cancers when diagnosed, than non-invitees..
To read the latest news about Bowel Cancer screening CLICK HERE. GPs in Sydney’s north may soon be asked to participate in a study that aims to review and minimise the use of anticholinergic and sedative medicines in patients aged >70 years who are admitted to RNSH. These medicines cumulatively impair physical and cognitive function in older adults, but are rarely reviewed during routine hospital care. The Drug Burden Index (DBI) is a clinical risk assessment tool to determine the functional burden of an older patient’s medications. It measures a patient’s total exposure to medicines with sedative and anticholinergic effects, including dose. Higher DBI is associated with functional impairment, falls, frailty, hospitalisation, GP visits and mortality in older adults. Participating older patients in the intervention group will have a report on Drug Burden Index considered by their treating team. Where possible, the treating team will discuss the report with the patient, GP and any other specialists involved, and make a plan for the patient’s anticholinergic and sedative medicines. In many cases, a gradual withdrawal plan may be required, which will need to be implemented after discharge by the patient’s GP. The GP will receive a DBI report and plan as an attachment to their patient’s discharge summary. GPs are asked to please return comments on their patient’s DBI report and describe their actions regarding the recommendations. This should take approximately two minutes per patient. This research is being conducted by Professor Sarah Hilmer, Dr Terry Finnegan, Ms Jenny Crane and Ms Rayan Nahas of Royal North Shore Hospital and Dr Danijela Gnjidic, Dr Emily Reeve and Ms Lisa Kouladjian of the University of Sydney. It has been approved by Northern Sydney LHD Human Research Ethics Committee and is funded by NSW Agency for Clinical Innovation. Article by Prof Sarah Hilmer – Head of Department of Clinical Pharmacology and Senior Staff Specialist Aged Care, RNSH. Enquiries: Please address any comments or queries to Prof Sarah Hilmer, e: sarah.hilmer@sydney.edu.au or Tel: 9926 4481. My Aged Care (MAC) is the first point of contact for individuals seeking information about aged care and access to aged care services. A family member is concerned about an older person and needs to understand the care options available. A patient is presenting with a declining ability to manage their activities of daily-living and need to either plan for the future or access services now. You have questions around the sustainability of a patient’s current care arrangements. GPs should refer suitable patients to My Aged Care to ensure their aged care needs can be assessed holistically and the right services put in place to support their needs, goals and service preferences. Article by Rosanna Commisso – Home Support and Partnership Coordinator, Northside Community Forum Inc.
Lead health talks for an Adult Migrant English Program at the North Sydney Institute (NSi) TAFE English as Second Language (ESL) – CLICK HERE to read more. General Practice Representatives for various areas – CLICK HERE to read more. The Coalition Government has shown its commitment to eliminating avoidable blindness and vision loss in Aboriginal and Torres Strait Islander people with $2.5 million in funding to provide continued support to the Indigenous Eye Health Unit at the University of Melbourne. Aboriginal and Torres Strait Islander people are two and a half times more likely to report having complete or partial blindness compared to non-Indigenous Australians. The Indigenous Eye Health Unit provides expert advice and technical support on trachoma control, which is already helping to improve the eye health of Indigenous Australians. CLICK HERE for Patient Resources from the Indigenous Eye Health Unit. READ MORE for the Media Release. Carers are a recognised group who have an important role to play in our health care system. They support a patient in their journey: in communicating, participating in health decisions and in looking after the patient’s health and wellbeing at home. Carers can often neglect their own health and in many cases it’s only a matter of time before they become sick. As a health professional, it’s important you can identify a carer and provide them with the much needed help and support they deserve. The Carer Guide aims to provide information to general practitioners (GP’s) on the caring experience: what it means to be a carer, the impact of caring for another person as well as how a GP can support those important partnerships in caring. CLICK HERE to link to the Carer Guide for GPs and practice teams. CLICK HERE for more information about care services. The StEPS program is a free vision screening program for 4 year old children. The program is designed to identify childhood vision problems which cannot be detected by observation, behaviour, family history or vision surveillance. Children attending preschools, child care centres, early intervention services, refugee services, Child & Family Health Clinics, Department of Education and Training (DET) Schools for Specific Purposes, Schools for Autism, playgroups, community vision screening days, immunisation clinics etc. will be targeted for testing. For children that do not attend these services, their parents or carers can book them into a pop-up clinic. CLICK HERE for the pop-up clinic schedule. 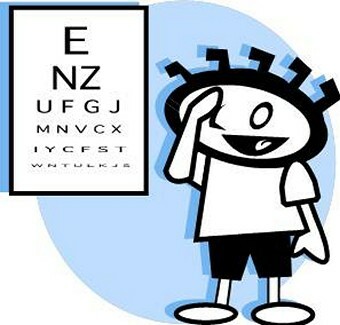 If a parent would like their 4 year old child to attend one of the upcoming vision screening clinics please call the StEPS Office on 9462-9550 to make a booking. Resources for GPs and Families CLICK HERE.